If you have a central air conditioning and heating system in your home, you understand how much you and your family rely on your HVAC system throughout the year. As such, you also know how important it is to keep your heater and air conditioner operating in the best possible fashion. The best way to care for your entire HVAC system is to develop a relationship with a professionally licensed contractor from a local air conditioning company. 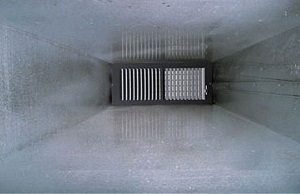 Another tip is to look into air duct sealing in New Jersey. At Steele Mechanical, LLC Air Conditioning and Heating, our New Jersey HVAC contractors are here to help you with all your home comfort needs. Not only do we install, repair, and replace heating and air conditioning units, but we also design and maintain the air ducts that your HVAC system depends on. One of the best services in this regard that we provide is duct sealing in New Jersey. If your air ducts are not properly sealed, your heater and air conditioner will fail to perform at their best. Our professionals can completely resolve any air duct related problems for you. You will enjoy both of the following amazing benefits. In a central heating and air system, the air within your home is brought to a comfortable temperature at one location. It is then forced with a fan or motor from the heater or air conditioner to the rooms of your home via air ducts within your walls. If the air ducts are clogged, blocked, or improperly sealed, the rooms farther away from your heater and air conditioner will be less comfortable than the one within a closer proximity. Our New Jersey HVAC contractors can resolve this issue for through our duct sealing and repair services. By preventing air from escaping your duct work and by removing any impediments to air flow, our team can ensure that your HVAC system provides a uniform level of comfort throughout your home. You and your family are guaranteed to be completely satisfied. The primary reason that you should consider having your air ducts inspected, repaired, and sealed is that these services can help improve the energy efficiency of your home. According to energy experts, that vast majority of the energy that we consume in our homes is used by the HVAC system. A great deal of that energy is lost often lost by improperly sealed air ducts. Our New Jersey heating and air conditioning experts can help you reduce the amount of money that you spend keeping your property comfortable. The monetary savings of our duct sealing services will be realized on a year round basis. As such, these fantastically rewarding services practically pay for themselves. If you are looking for an expert for duct sealing in New Jersey, then please call 609-259-3210 or complete our online request form.